There are many pillars to the philosophy that underpins what we do at Brand Innovation. Our overarching philosophy is to create a successful business with integrity that has the means to make a difference to our community - to make South Africa a better place. 1.Youth empowerment is one of the most important pillars of the Brand Innovation philosophy. The company has taken on paid interns since its doors first opened, but our Internship Academy really puts this intention into action. Many young people have and will learn marketable skills through our structured internship programme. 2. Creating a non-prejudicial workplace that is representative of South Africa as a whole. Brand Innovation is proud to be a BEE certified supplier. It’s an important element of the business that we have a happy working environment, where staff feel valued and important and are encouraged to grow. We choose to use local providers and South African manufacturers where we can. We hope our proudly South African attitude sets an example for other businesses to do the same. 3. 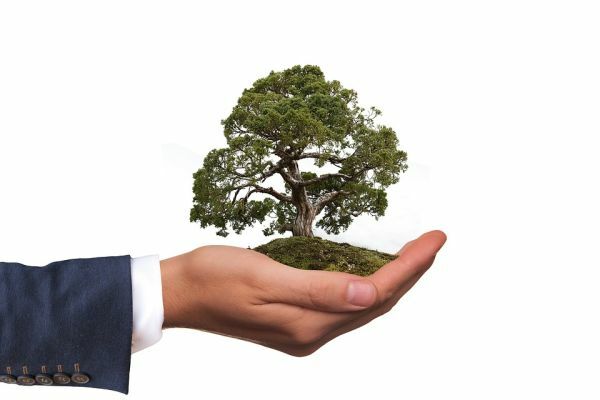 Environmental sustainability: Brand Innovation does everything it can to be a green business. We proudly supply eco friendly corporate gifts and promotional products. But our everyday business practice is also based in eco-sustainable philosophy: we manage our water with water tanks, and we are mostly off the grid during the day. Our recyclable waste is collected by the wonderful employment initiative Abundance Recycling. 4. A culture of integrity and respect: all Brand Innovation clients and business associates should feel they have been treated with respect.